Fruity notes combined with pleasant fresh oak character with an aftertaste of nuts and vanilla. 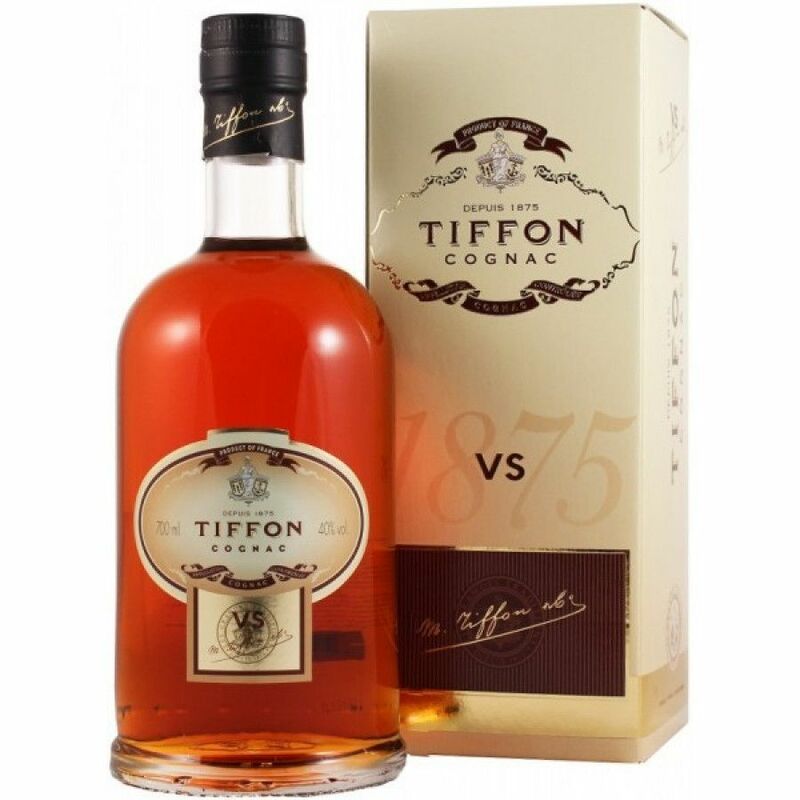 The Tiffon VS Cognac is the youngest of the cognacs on offer from this well-respected house. Founded in 1875, the family history can be traced back to Norway - and today the house of Tiffon is still a much-loved cognac in this region of the world. Representing superb value for money, the Tiffon VS is a fabulous staple cognac to keep in your cabinet. It can be enjoyed neat for its youthfullness and vitality - or perhaps over ice or with a mixer for a refreshing drink on a long day. Presented in an attractive bottle and presentation box - if you're not familiar with the house of Tiffon then this is a great introduction to their products.